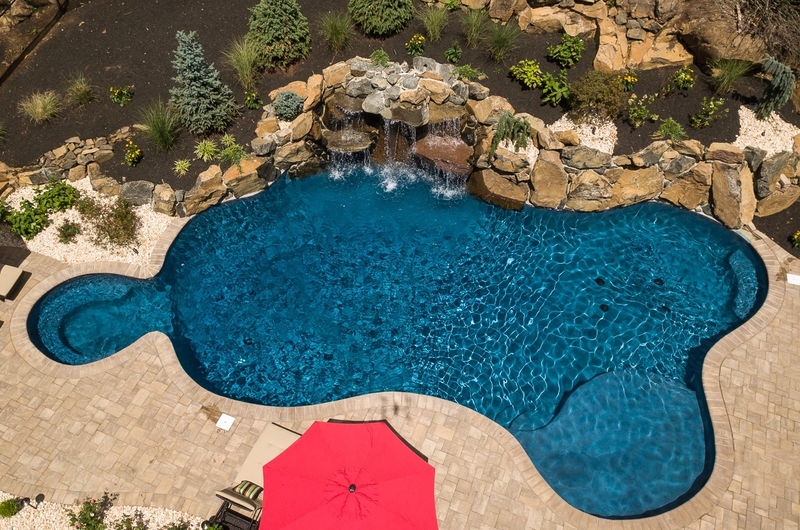 Call Jeff for Your Custom NJ Pool Estimate! 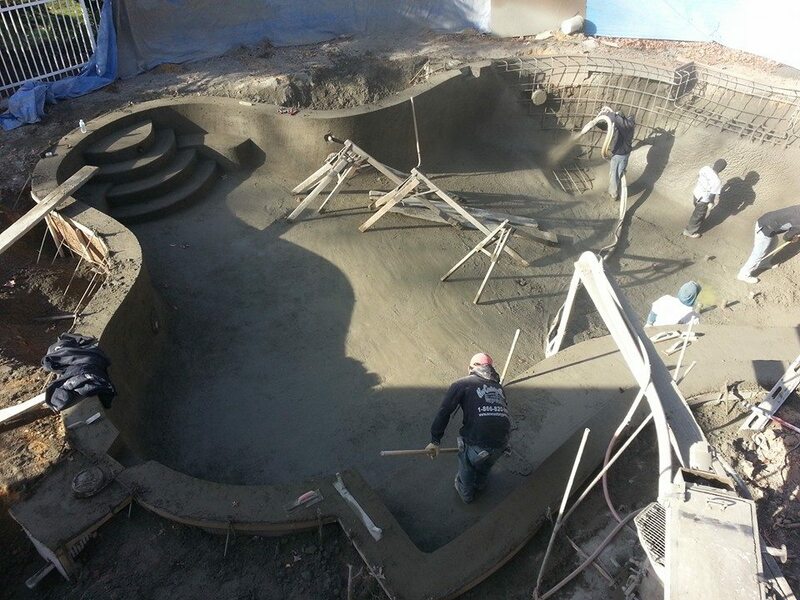 At Pools by Design NJ, we design and build pools and spas using a type of concrete called “gunite”. Gunite is an ideal material for pools and spas because it enables almost limitless design options. We enjoy creating a unique, tailored design for homeowners who appreciate design aesthetics vs. conventional, uninspired forms offered by fiberglass and vinyl liner pools. The design flexibility offered by gunite isn’t limited to shapes. The options for finishing are added reason to go with gunite. Pebbles, stone, glass and different shades that match your decking materials ensure that the entire environment is coordinated and balanced. 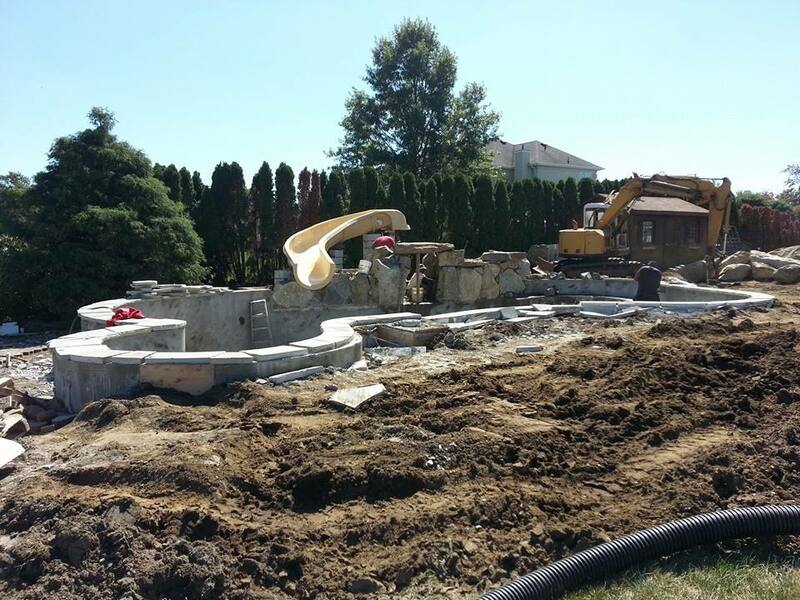 Along with the flexibility of gunite, we can more easily integrate water features such as waterfalls, slides, and rock-scapes. Gunite is more commonly known as “shotcrete” in the industry – they are the same materials and the terms are used interchangeably. If someone mentions shotcrete, you can assume they mean gunite. In addition to the design flexibility, gunite pools and spas are highly durable with re-bar reinforced walls. The nature of concrete is very strong and will last for decades before the need for repairs arise. That peace of mind should not be underestimated when considering the life-time cost of your gunite pool & spa. Because the material is porous, it does require more attention to prevent algae buildup, however, keeping the pool’s water chemistry in balance is not difficult when monitored regularly. 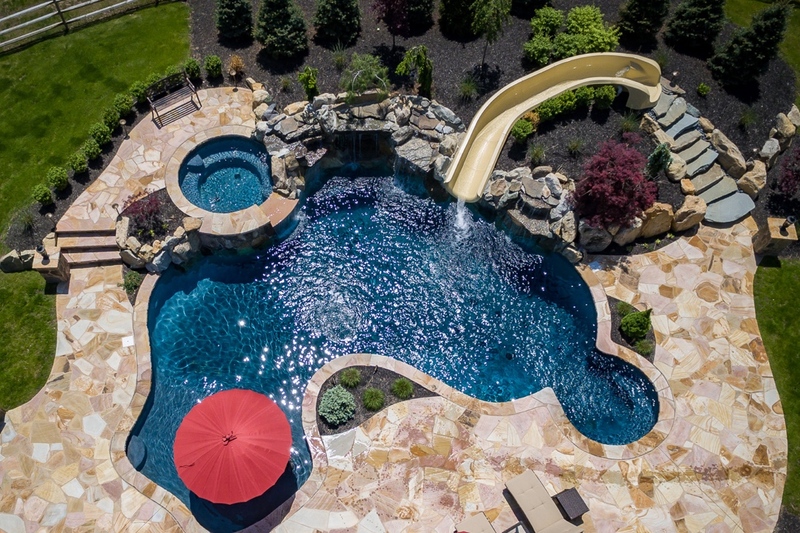 Custom Inground Swimming Pool Builders Serving All of North and Central New Jersey.